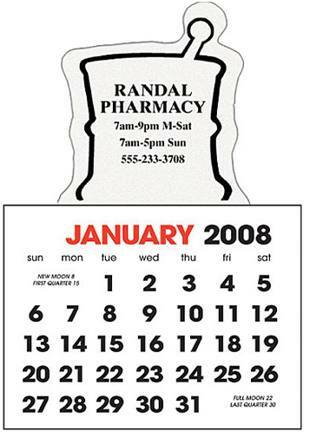 Custom Stick Up Calendars Personalized in Bulk. Promotional, Inexpensive. Budget Prices in America. Many stock shapes: just name it. 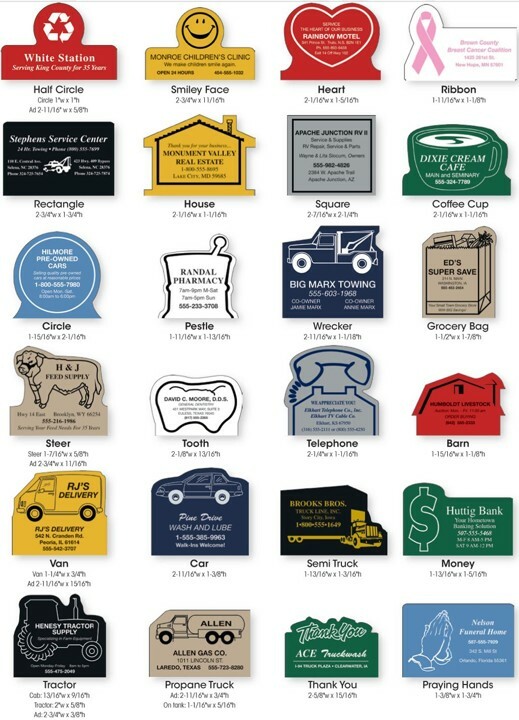 Unit prices below include your 1-color imprint. Add $0.10 per calendar for each extra imprint color. Add $0.10 for each additional color. Product Size 3"w x 4"h with 3" x 2 1/2" date grid sheets. Production Time: 7 Business days after art approval.